Live in Henderson County? Got neck pain, back pain, headaches, or whiplash? We can help. Henderson Chiropractic & Sports Care is situated in the beautiful mountains of Western North Carolina, conveniently located in the historic town of Hendersonville at 503 Kanuga Road. Patients seeking treatment at Henderson Chiropractic & Sports Care are assured of receiving only the finest quality care. Dr. Silva is not only a Board Certified Chiropractic Physician, but is 1 of 34 doctors in the state of North Carolina being a Board Certified Chiropractic Sports Physician, and 1 of 14 doctors who have obtained Advanced Certification in Motor Vehicular Trauma. *Dr. Silva has been recognized for his clinical excellence and post doctorate education in clinical radiology. Jef Fox has 14 years experience as a Paramedic, 22 years experience in healthcare, and is certified both as a Chiropractic X-Ray Tech and Certified Chiropractic Clinical Assistant by the North Carolina Board of Chiropractic Examiners. Pam Davis has 7 years experience in healthcare and 3 years of office management, and is also certified as a Certified Chiropractic Clinical Assistant by the North Carolina Board of Chiropractic Examiners. Dr. Silva and his staff have a genuine concern for your well being! 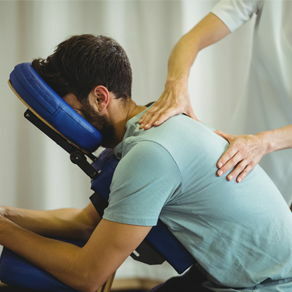 Some injuries and conditions commonly seen by chiropractic physicians are auto accident injuries, work related injuries, sports related injuries, low back pain, neck pain, headaches, whiplash injuries, pinched nerves, bulging and/or herniated discs, sciatica, arthritis, tendonitis, bursitis, muscle spasms, shoulder, arm, and hand problems, hip, knee, leg, and foot problems, carpal tunnel syndrome, TMJ disorders, numbness and tingling just to name a few. Only by pinpointing the cause of pain can we hope to eliminate and prevent recurrence. For this reason, Henderson Chiropractic & Sports Care places great emphasis on thorough evaluation of a patient's condition. We then take the time to explain the scientific basis of your problem and then provide the personalized quality chiropractic care you need. We offer painless and affordable care... so why suffer? "I had been suffering from chronic and acute bouts of sciatica. I tried both massage therapy and accupuncture which did help, but didn't give me relief. They both recommended Dr. Silva and now I am pain free with only slight irritation at best. Dr. Silva and his staff are very professional and all I need is periodic adjustments!"